In a tech-driven world the success of a business often relies on the use of technology. This applies to businesses across the board. Most businesses, especially the non-technology ones aren’t competent in meeting their IT needs. Naturally this has given birth to the new concept of outsourcing where software development, mobile development and other technological projects are outsourced to a service provider. Outsourcing has further led to a new model which is known as offshoring, where the project is outsourced to a different country very often in a different geography. 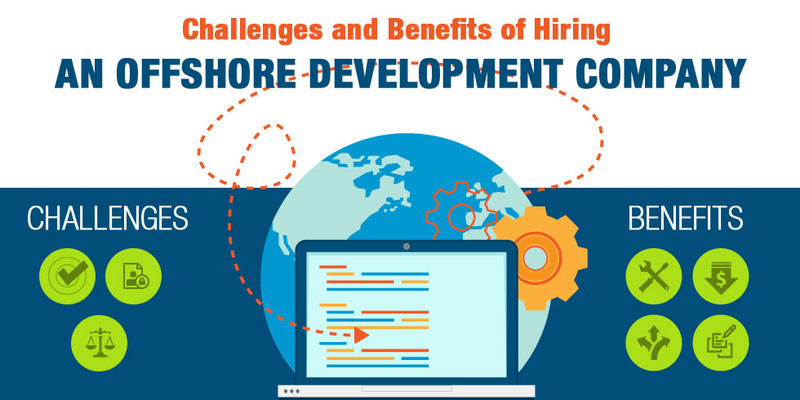 Outsourcing your project to an offshore development company comes with its benefits and challenges and here we shall take a look at these. The greatest advantage of offshoring comes from the fact that you would be able to gain from the technical skills of the service provider. Most offshore development companies employ skilled professionals who are able to address your business needs and solve your problems with technology. Offshoring to developing countries such as India allows you to cut down the cost of the project by a huge fraction. The cost of hiring skilled labor in these countries is far cheaper than developed parts of the world. The service providers pass on these benefits to the clients. You don’t face any overhead costs of staffing and training these people either. Your business needs keep changing with time, and offshoring offers you the benefit of scaling up and down your operations based on your requirements. This flexibility helps in streamlining your operations and cutting down on unnecessary operational costs. Offshoring allows you explore new business models such as white label services and customer support services that increase the depth of your business and offer new streams of revenue generation. Small and large businesses around the world have benefitted from this model. You would have lesser control over the quality of work with offshoring as compared to an in-house project. Though you can include strict quality control terms and conditions in the contract, in reality it is never quite the same as managing your own team. In offshoring you may be required to share your customer data with the offshore development company. We have heard cases where customer data has been compromised or sold out to other companies. Thus the privacy of data remains a big concern while offshoring. The operations of an offshore development company is governed by the law of the country in which it is located. These laws can vary from the laws in your own country and what is illegal in your country may not be illegal there. This creates a situation where you may have limited legal options if there is a breach of contract or the company engages in any malpractice.